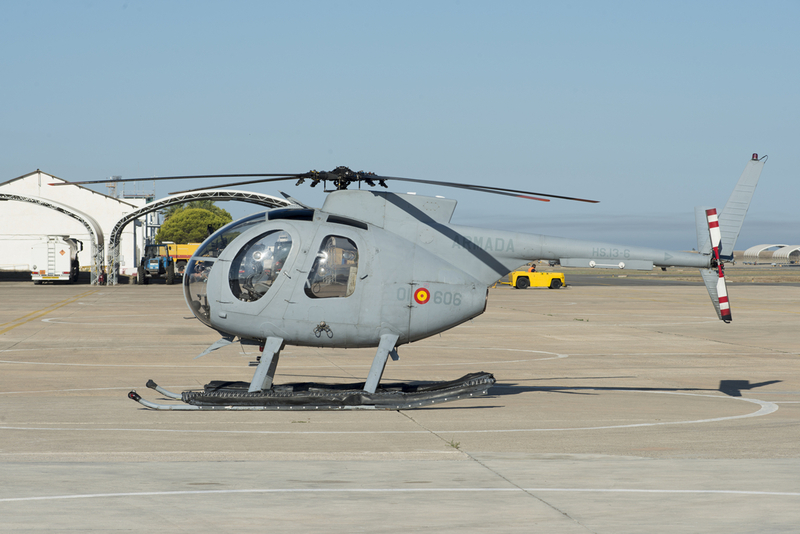 Patrick Roegies, Paul Gross and Hans Looijmans take a look the Spanish Naval Air Force’s use of the Hughes 369 helicopter, also known as the Hughes 500M ASW and nicknamed: “Argo”, used exclusively within the Spanish Naval Air Force by Sexta Escuadrilla (Esc. 006). 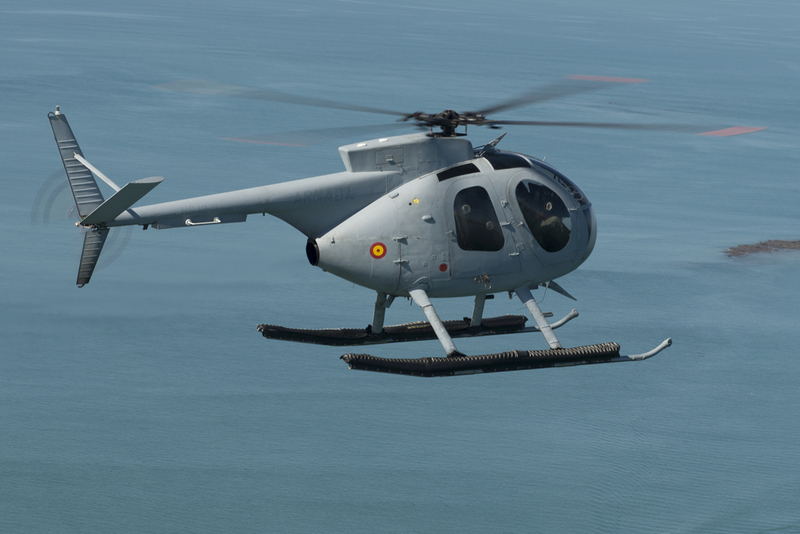 The Spanish Naval Air Forces or La Flotilla de Aeronaves de la Armada (FLOAN) is one of the sole operators of the Hughes 369 Helicopters within NATO. 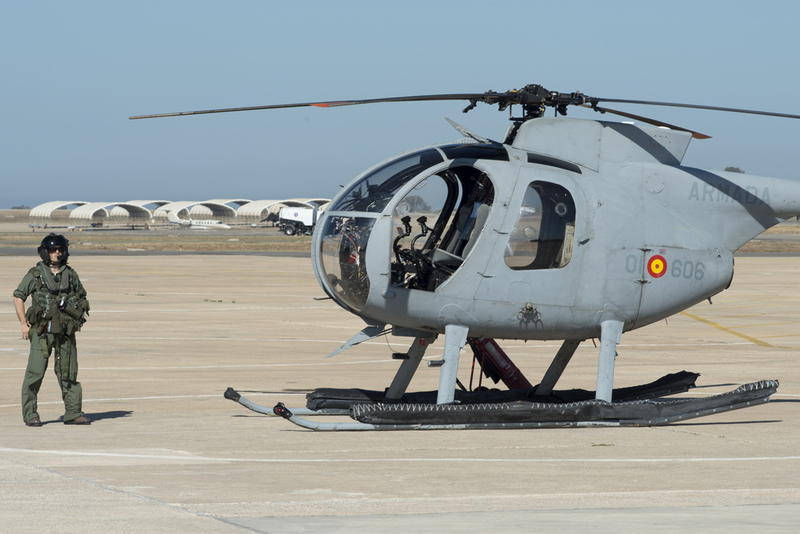 The first batch of five Hughes 369 helicopters was acquired in April 1972 and were appointed to the Spanish Naval Air Forces and based at NAS Rota. 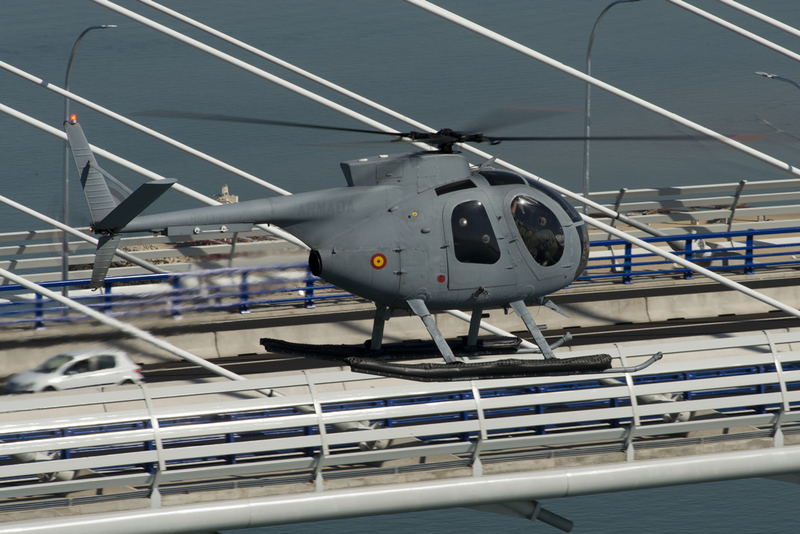 The Spanish Navy referred to the helicopters as Hughes 500M ASW nicknamed “Argo”. 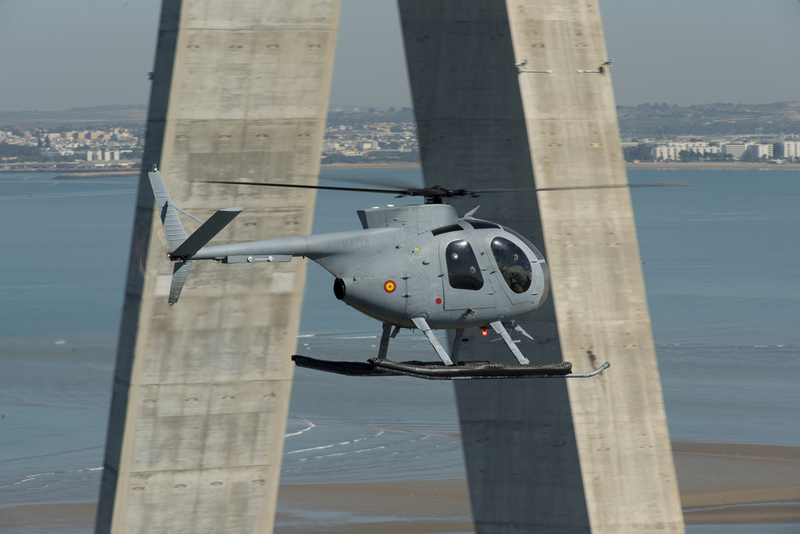 With the arrival of the helicopters Sexta Escuadrilla was formed on 15 May 1972. 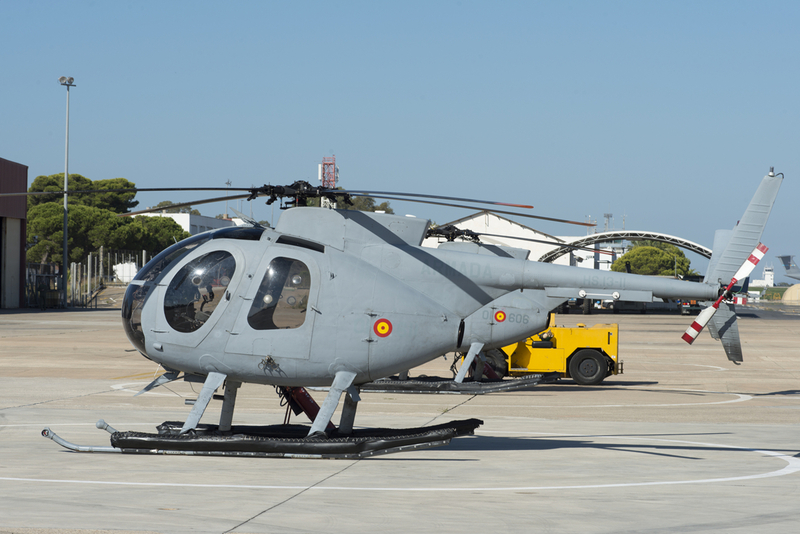 All five helicopters were appointed to Sexta Escuadrilla or Esc. 006 to equip the five US supplied “Churruca”-class destroyers and the two Spanish built Roger Lauria Class destroyers with light anti-submarine warfare (ASW) helicopters. For this purpose the helicopters were fitted with floats on their skids and torpedo launchers. Soon after the delivery of the initial five helicopters another batch of 9 helicopters were delivered to Esc. 006. Three additional Argo’s were delivered in January 1974 and another four were delivered in April 1974. The last two were delivered in July 1976 and July 1977. By 1977 the squadron had the disposal of 14 helicopters. The helicopters were painted in a dark grey c/s and were provided with white high visibility markings. With the arrival of newer SH-3 Sea King and the decommissioning of the five “Churruca”-class destroyers the role of the H369Ms changed. Since the newer helicopters were better fitted to perform the ASW role the H369Ms were initially used for training and SAR purposes. Later also the SAR task was transferred to other squadrons and the main task of Sexta Escuadrilla was training of new pilots. Besides this training task the squadron also fulfils certain type of auxiliary missions and low intensity operations, like SAR and air surveillance, a platform of forward air controllers, light reconnaissance and intelligence gathering. 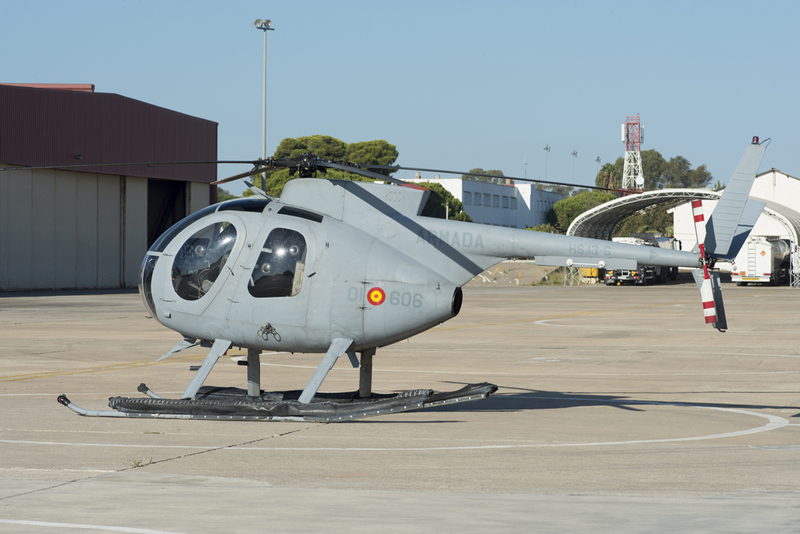 Of the original five acquired helicopters three were lost during the operational lifetime, and two additional Argo’s were lost of the second batch that was delivered to the Spanish Navy, leaving the squadron with 9 operational helicopters. The naval helicopter training program is built up in three stages. In the first stage, the cadet will be trained at the Air Force academy at Armilla – Granada in basic flying training. This training stage will take 3 months and the pilot has to perform 50 hours in the single-engined EC-120. 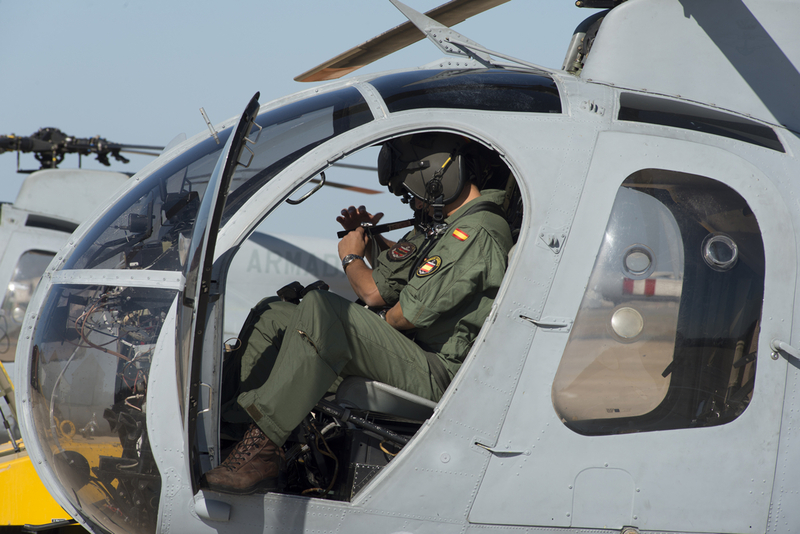 During the second stage, the cadet will receive advanced flight training at the Air Force academy at Armilla – Granada. This stage will also take 3 months and another 50 hours have to be performed on the Sikorsky S-76. During this stage the cadet is being trained in instrumental flying. After these 2 stages have been completed the pilots transfer to Rota to commence with the third stage of their training. This training is being carried out by Sexta Escuadrilla and the main purpose of this stage is to prepare the cadet for all aspects of naval flight operations, like landing on the deck of a naval vessel. For this purpose the squadron has the disposal of six remaining and recently modernized H369HM’s and 5 instructors. These instructors are extremely experienced pilots. 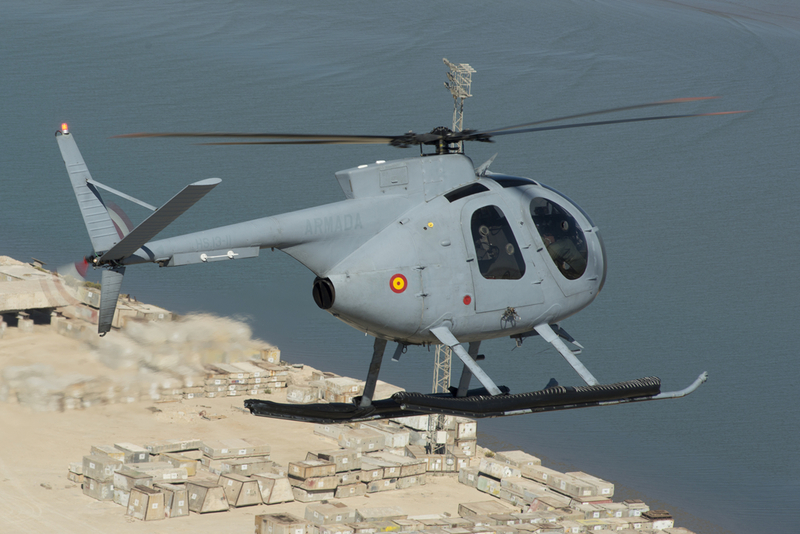 Lt. Ignacio Bescos Roldan stated he logged 2100 flight hours on the Argo since he choose to be an instructor on the Argo. His collegue instructor Lt. Jezus Antonio Escudero Campillo even logged 3200 hours on the Argo. Once the cadet has completed his 9 month training program he will either be transferred to one of the operational naval helicopter squadrons to be further trained in the specific role of the helicopter and the squadron. 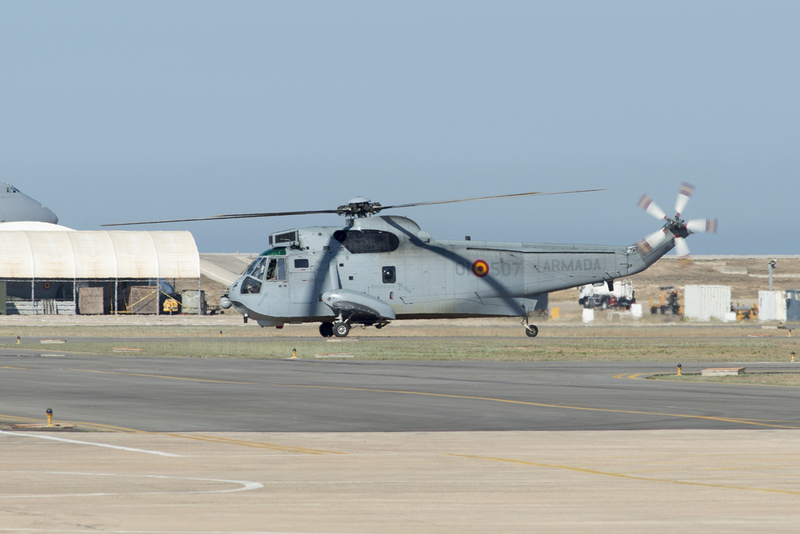 These squadrons are 3 Escuadrilla operating the AB-212ASW, 5 Escuadrilla operating the SH-3H or 10 Escuadrilla operating the SH-60. 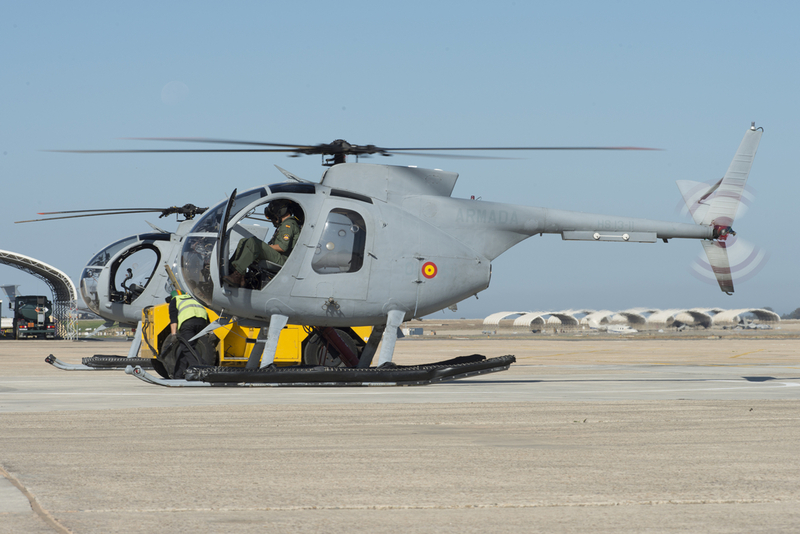 Annually the Sexta Escuadrilla trains approximately three to six new pilots to be transferred to the operational helicopter squadrons. Although the helicopters have been in service since 1972 the FLOAN choose to modernize six of the nine remaining Argo’s, with the purpose to prolong the operational lifetime of the helicopters by 5-10 years. 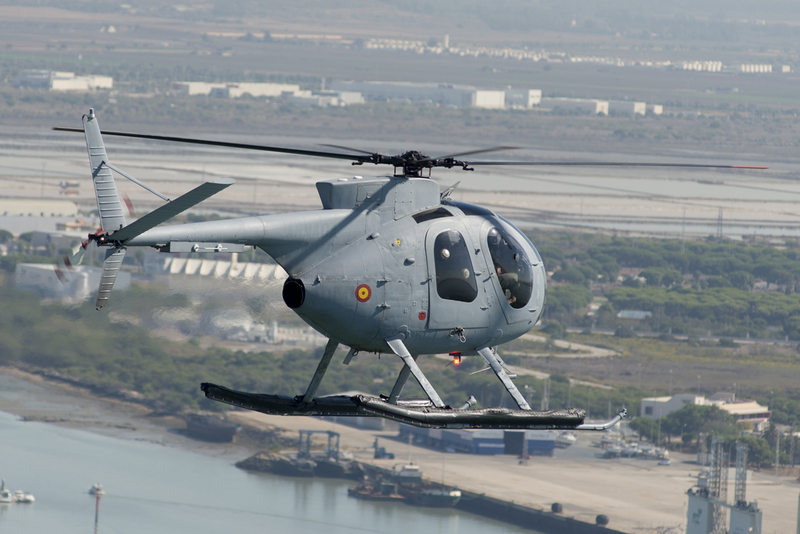 After an extensive modernization program carried out by the company INDRA six of the Argo’s are still active at NAS Rota still appointed to Sexta Escuadrila. 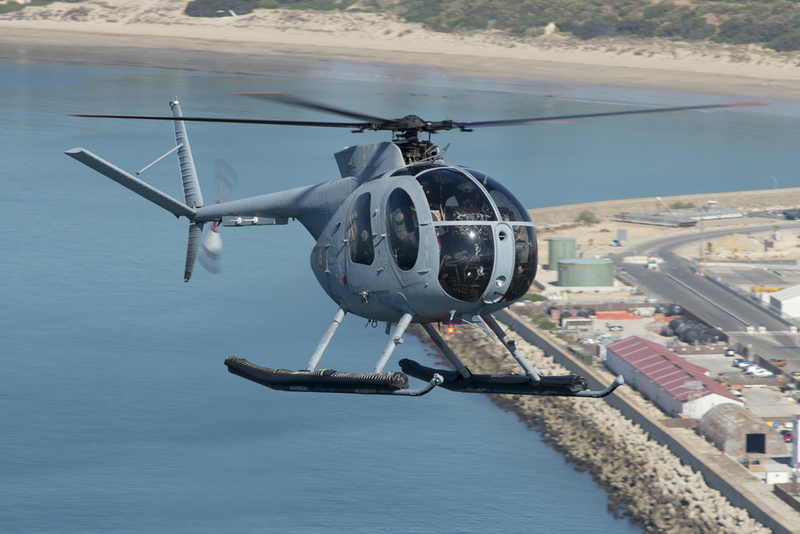 The remaining three Argo’s been withdrawn from use and serve as a source for spare parts for the six remaining helicopters. 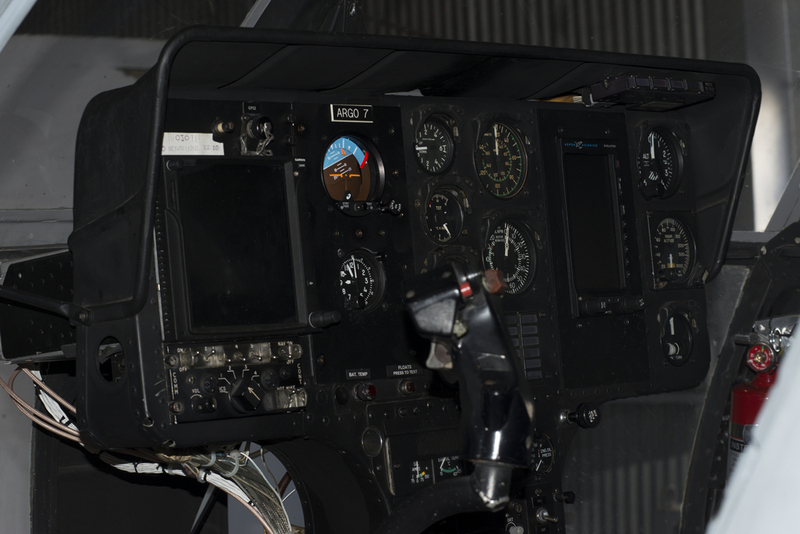 During the modernization program that started in September 2012 and lasted until February 2015, the helicopters were refurbished passing an extensive process of renovations of avionics. This included the improvements of the communication system by the implementation of VHF omnidirectional range and ranging (VOR) an integrated landing system (ILS), the integration of a new Garmin GTN750 global positioning system (GPS) system positioned on the left hand side of the pilot and a primary flight display that shows the pilot all the information of the electronic flight instrument system (EFIS) in front of the pilot on the display. The Helicopters also received a new paint coat. The dark grey has been abandoned and the helicopters were painted in the standard naval grey camouflage scheme and are provided with low visibility markings. Although the Argo’s are at the end of their operational lifetime, Sexta Escuadrilla continues performing their training task, awaiting the future replacement program in order to enhance their training capabilities and future operational capabilities. Paul J. Gross (46) was born in The Netherlands and raised under the smoke of Gilze-Rijen Air Base. Northrop NF-5’s flew over his home on a daily basis. During the summer of 1982 he noted a different silhouette in the sky: twelve “FF” coded F-15 Eagles of the 1st Tactical Fighter Wing out of Langley Virginia were temporarily deployed to Gilze-Rijen Air Base. His passion for aviation was born the day his father took him to the air base to witness these machines from close by. Paul entered the world of aviation photography in 1984. Decades of visits to air bases and aviation related businesses all over the world followed. To his surprise others were interested in his images and so this period saw his first publications, mostly in Dutch magazines. Since the early 2000’s his work has been published in almost all major aviation magazines, and also used for commercial purposes in calendars, websites etc. of aviation related companies. 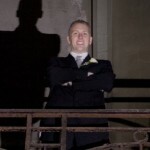 Nowadays Paul selects a few aviation events per year to focus and report on. 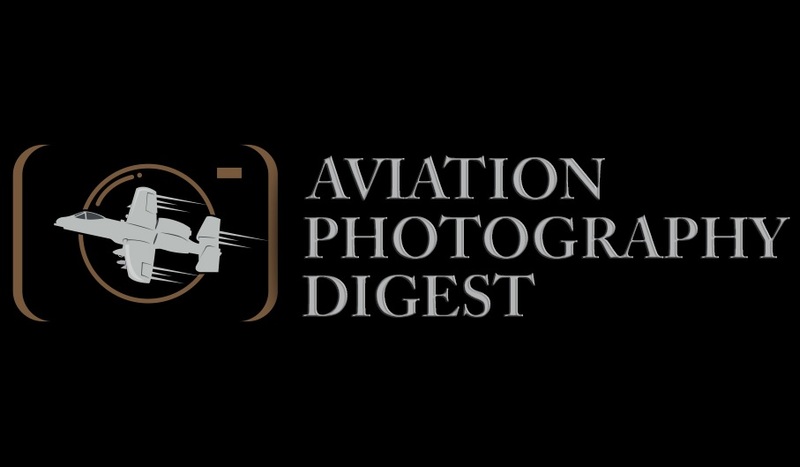 His goal is to bring aviation minded readers all over the world the best action photographs with an emphasis on the interaction between man and machine.